Blue Dot Matrix LCD Module 12864 (128 x 64 Pixel) with white backlight. Controller ST7920. Libraries available, for example for Arduino IDE. 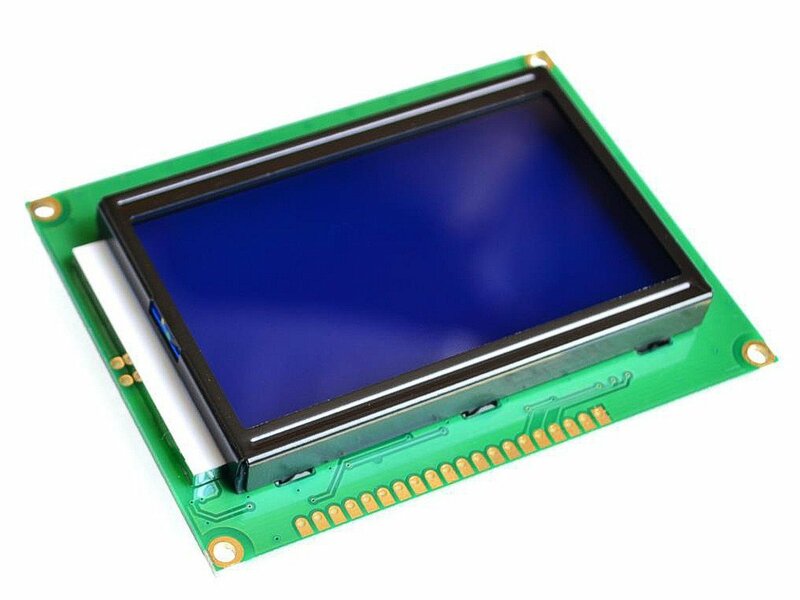 This display comes with an integrated contrast potentiometer, and does not need an external potentiometer for contrast adjustment, like most other displays do!